The turkey (Meleagris gallopavo) is one of the most important food birds in the world, and the only indigenous animal domesticated in North/Central America. Despite the turkey’s importance to both ancient and modern cultures, we know relatively little about when it was first domesticated (presumably in central/northern Mexico), and when it was adopted (as a domesticated species) by other cultures in the region such as the ancient Maya. 1. When was the non-local Mexican turkey (Meleagris gallopavo) first introduced to and widely adopted by the ancient Maya, and what does this suggest about when the species was first domesticated? Two species of wild turkeys were present in pre-Hispanic Mesoamerica: the smaller-bodied and more colourful ocellated turkey (Meleagris ocellata) native to the northern half of the Maya cultural region, and the wild Mexican turkey (M. gallopavo gallopavo), originally found throughout central and northern Mexico (outside the Maya cultural region). The later species was eventually domesticated, giving rise to the domestic turkeys used throughout the world today. The ocellated turkey (Meleagris ocellata, left) and the Mexican turkey (Meleagris gallopavo, right). Until recently, the non-local Mexican turkey was thought to have been introduced to the Maya cultural region during the Postclassic period (AD 1000-1500). 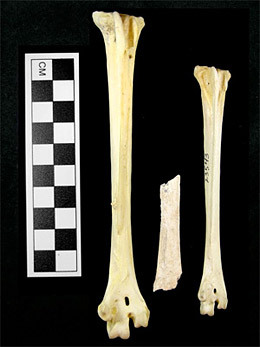 The recent discovery of Mexican turkeys in Late Preclassic (300 BC-AD 100) deposits at the site of El Mirador (Petén, Guatemala) challenges this assumption, and suggests that the species may have been introduced approximately 1000 years earlier than previously thought (Thornton and Emery et al. PLoS ONE, Aug. 8, 2012). Through our grant-funded research, we will search for additional early examples of Mexican turkeys in the Maya lowlands. The El Mirador turkeys are also the earliest indirect evidence we have for turkey domestication in Mesoamerica. Indirect evidence includes the presence of juvenile turkeys, pen structures, egg shells, and as we found at the site of El Mirador, human transport of the species outside its natural geographic range. This suggests that Mesomerican turkey husbandry dates back to at least the Late Preclassic (300 BC-100 AD). Prior to this finding, all indirect evidence dated to the Classic Period (~AD 250-1000). 2. Did the ancient Maya also maintain captive populations of the wild ocellated turkey (Meleagris ocellata), which is native to the Maya region? In addition to using the domestic Mexican turkey, it has been suggested that the ancient Maya raised captive populations of the local ocellated turkey. 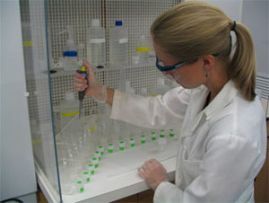 We will test this theory primarily through bone stable isotopes, which record an animal’s diet. Captive and wild turkeys would be expected to have slightly different diets, with captive-reared animals consuming more human-provided fodder such as maize. Determining when the practice of turkey husbandry was adopted and/or developed by the ancient Maya has important consequences for understanding Maya subsistence systems and long-distance trade connections. Since the turkey is one of only a few animals domesticated in the Americas, this research also has broad ramifications for understanding the process of New World animal domestication and species management. For more information, check out our article in Florida Museum Science!